A workshop which will teach people how they can best combat the Amey PFI contract is coming to Sheffield. The event, which takes place on Tuesday, October 23, promises to provide a clear explanation of how Private Finance Initiative agreements work and why they are so costly to the public. Dexter Whitfield, 75, who lived in the Meersbrook area for 15 years, will be hosting the event. He is the Director of the European Services Strategy Organisation and is a leading expert of the negative effects of PFI contracts. Mr Whitfield said: “I think it’s an opportunity to find out in a bit more detail about the opportunities to look at the PFI contracts in a broader way. “And to also, in a sense, draw on the lessons that have been learned from what happened with other authorities. 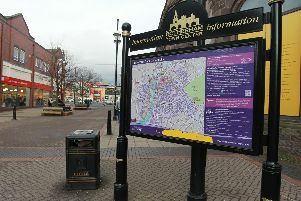 It takes place in the same week that Sheffield Council, Amey and STAG are set to have a second round of mediated talks. A statement from the council said: “We have agreed to meet again in three weeks. “Both parties are hopeful that we will be able to make a full announcement at that point, covering a proposed approach to completing the remaining period of the Streets Ahead programme, alongside developing our street tree strategy for the future. The event will take place at the Sheffield Quaker Meeting House on Tuesday, October 23 from 7pm to 9.15pm.